According to a 2014 Parature State of Multichannel Customer Service Survey, “65% of 1,000 customers surveyed said they’ve cut ties with a brand over a single poor customer service experience.” Bruce Temkin, a leading expert in the field, defines customer experience as “the perception that customers have of their interactions with an organization.” Take a moment, and think about these two statements. Over ⅔ of people have stopped doing business with a brand because they “perceived” a bad experience. When a customer interacts with our brand, it is one moment in time. Their perception of what happens in that moment is influenced by a variety of unidentifiable factors. Things like the rumbling of their stomach because they have been so busy in back-to-back meetings they haven’t had time to eat, or the fact that Pandora just played a song that always reminds them of their first big breakup in high school. In some of these cases, the customers themselves may not even realize the influence these past events or memories have on their decision-making process. If they don’t know, how are we as marketers supposed to know? The good news is that we have a not-so-secret weapon, the persona. While it may not offer insight into their emotional connection to an 80’s power ballad, it can help us better understand some of the other factors influencing how customers perceive our brand. We then level the playing field by creating a well-executed customer experience that limits opportunities for perceived service fails through the documentation and purposeful application of customer journeys. According to research published in the State of Marketing Research, 86% of senior-level marketers agree that customer journeys are important. The journey starts before the customer even know about your product, service or brand, and continues long after the first purchase has been made. By documenting each of these stages, and describing their needs, thoughts and feelings along each point in the journey, marketers are given a unique insight into how our customers may be perceiving our brand and products. Mapping the customer journey provides a framework that allows the organization to improve their customer experience. And yes, I said “organization”. While the discovery and development of the customer journey is often led by marketing, this tool is most powerful when used by the entire organization. 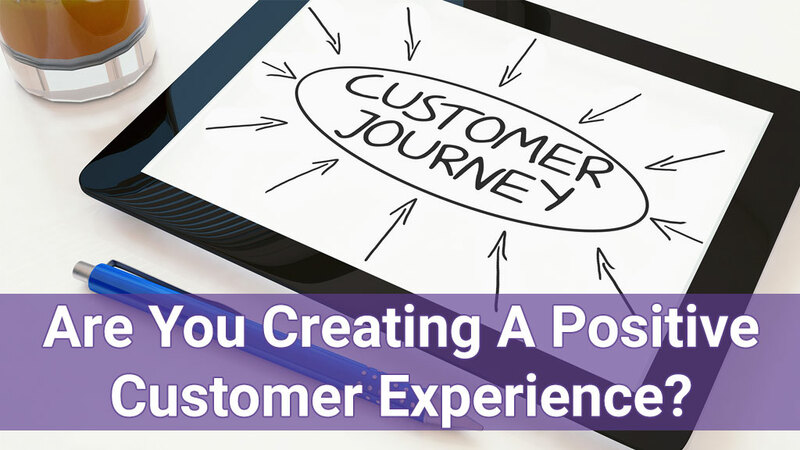 Like personas, sharing written customer journeys with other departments within the organization allows them to identify opportunities for enhancing the customer experience. On their own, individual departments can identify service breakdown and inefficiencies within their own internal procedures, giving them an opportunity to make small changes that may improve the customer’s interactions with one specific department. When looked at by the organization as a whole, those same opportunities to address service failures and operational inefficiencies exist, but now they are being addressed across the entire organization – not just one pocket. The silos between departments, which in my experience have been one of the biggest contributors to service breakdowns, no longer pose a threat. Now, the company is able to create a consistent and cohesive customer experience that extends beyond one individual moment and serves the needs of the customer at every touch point along their journey. While you may be able to document the customer journey in a relatively short period of time, the organizational shift that is required for this to be successful will take much longer. Unfortunately, many organizations use their customer journey as a single use tool to identify missed opportunities to connect with the customer. While you can still benefit from using the customer journey to identify and address a specific problem at a specific point in time in the customer’s journey, the real value comes when it is used on an ongoing basis throughout the organization. 1. Better understand your customer. Mapping the customer journey gets you inside the head of your customer and prospective customers. It changes the nature of the conversation, moving from a scientific one to one ruled by emotion – the customer’s emotion. 2. Identify operational efficiencies and opportunities. Customer journey mapping forces the company to look at each stage of the journey and evaluate processes to see if, and how, they support the sales journey. Removing processes that don’t positively contribute to the customer experience can save the company money, while adding new experiences can differentiate your brand from the competition. How many times have you asked why something is being done a certain way, and the answer is “because we’ve always done it that way?” Customer journey mapping puts an end to this explanation, and instead changes the conversation to “because that is the best experience we can create for the customer”. 4. Improve decision making and future planning. Mapping the customer journey gives us the opportunity to assess and predict how changes to policy, process and technology will affect the customer experience before money and time are wasted on something that will not work. Finally, decisions are being made with the customer front of mind, rather than as an afterthought..
5. Foster a customer-centric organization. A 2014 CMO survey found that only 11% of respondents felt their customer would say that they were a highly customer-centric organization. Customer journey mapping changes that by taking the focus off the company, and putting it where it belongs – on the customer. 6. Help everyone understand the issues. A documented, and shared, customer journey ensures that your team is aligned around one vision. By writing it down, everyone can see the same picture and conversation can focus on improvement, rather than identifying the problem. 7. Add depth to employee training. Customer journey maps help employees see the company from the customer’s perspective, and help to create and reinforce customer-centric behaviors. Customers have higher expectations today than ever before. Great customer experiences just don’t cut it anymore. In fact, research shows that 55% of consumers are willing to pay more for a guaranteed good experience. Before you can deliver on the guaranteed experience the customer expects, you must first understand those expectations and what external forces you are competing against. By mapping the customer journey, you gain insights into the customer’s needs, emotional state and context along each point of the sales cycle. Combine this with a well-defined persona, and you have the opportunity to see your brand, and the experience you have created, from the ultimate point of view – that of the customer.